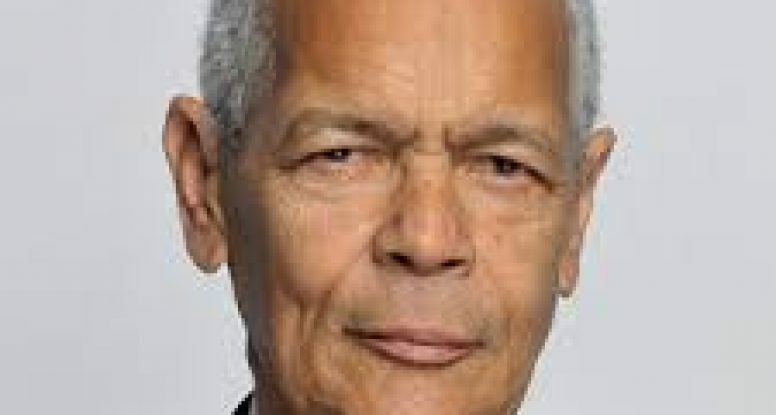 Julian Bond created the comic book Vietnam as a protest against the war. In his comic, Bond asks the black community to make up its own collective mind about what American interests should be—whether a country founded on revolution and the seizing of other people’s land should choose governments for other nations or work on fixing its own significant problems. Art has always been used to disrupt, undermine the status quo and shine a light on society’s troubles. While it’s cool to learn this about Mr. 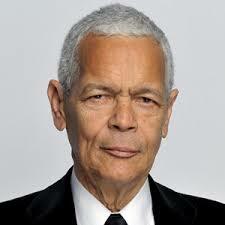 Bond, it is certainly not surprising. Leaders, activists and artists have always used art as a powerful platform to make the public think and independent comics have certainly been a valuable asset. 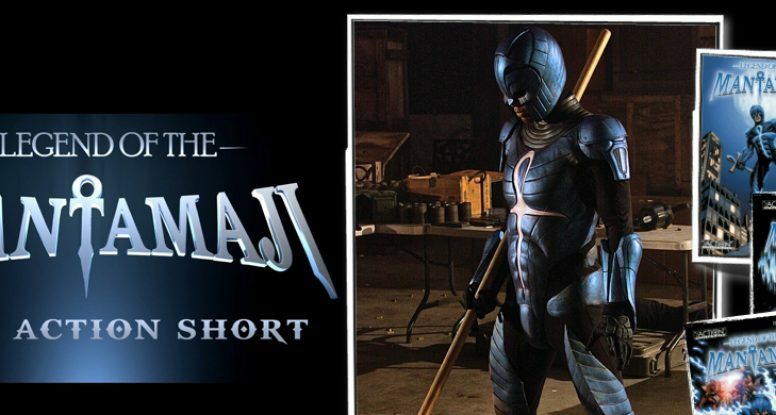 Starting off with a Bang: Legend of the Mantamaji Live Action Short! Tuesday saw the launch of the Legend of the Mantamaji: Live Action Short and boy was it exciting! There has been so much love shown our way. Fans and media alike have enjoyed the short and that means a lot. 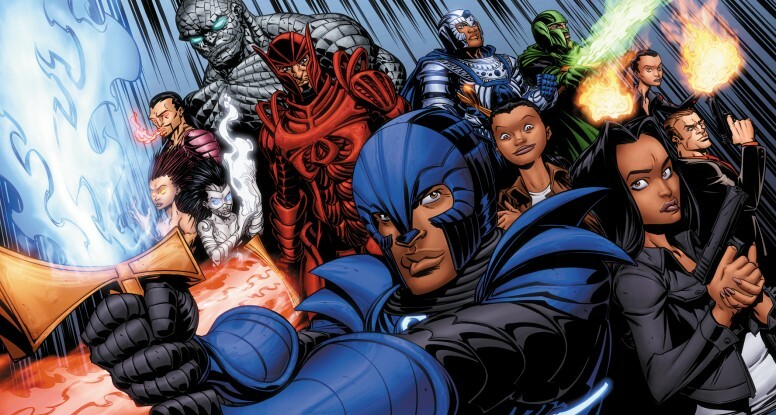 Rough analytics show the #LegendoftheMantamaji hashtag has been used more than 800 times, our Facebook engagement has climbed more than 400 percent and we are so glad we upgraded our servers here on the site because a 200 percent increase in traffic would have crashed our servers last month. Let’s keep it going! The movement for diverse voices in stories is more than one week of excitement. Share with friends, comics lovers. With a thrilling plot and a diverse cast of characters, Seaton strives to change the attitude toward and perception of African Americans. “You’re looking at somebody as the hero with a different skin color, and subliminally if you like it, you might actually see people in those positions and it won’t be so shocking,” Seaton continued. EurWeb covered covered us as well: Check it out. So did The Source Magazine online. Check it out. Global Grind gave us a shout as well here. Seaton hopes the short compels more people to pick up the graphic novel series to see what happens next. The trilogy was featured on MTV’s “Beach Reads for Social Justice Warriors” list, was nominated for a 2015 Glyph “Rising Star” comics award and named a “Top Graphic Novel” by Atlanta Black Star and Examiner.com. We’ve previously have profiled Legend of the Mantamaj several times on our site and we’ve become big fans and encourage our readers to check it out for themselves. You won’t regret it! Fish N’ Cherries, what a great name for a website, and not just because they gave Legend of the Mantamaji Book One a great review. I feel the need to mention that the magical aspects are visually creative in their implementation. In fact, everything is colorful and visually engaging from the costumes to the backgrounds. This could very well have been another story with a washed out palette to make it seem more adult or serious. But instead, things are distinct and pop right off the page. 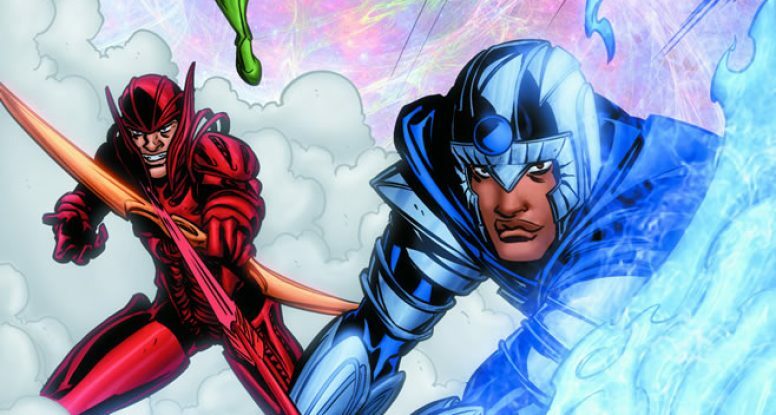 The diverse color scheme lends itself to a lot of color theory too, especially in the three mystical armors. The red of Sirach shows that he’s a danger to the world, Elijah’s blue represents his devotion to the law, and Noah’s green denotes his need to train Elijah because of his loyalty to his family as well as his service to another cause. There are plenty more in there, I’m sure, but far be it from me to dictate whatever you personally read into it. Thanks Ronin Reads for taking the time to check us out! Read the rest of the review here. Preview & Buy Legend of the Mantamaji Book One Today! Check out the whole article here: Carib Press. Legend of the Mantamaji: Live Action is Almost Here! 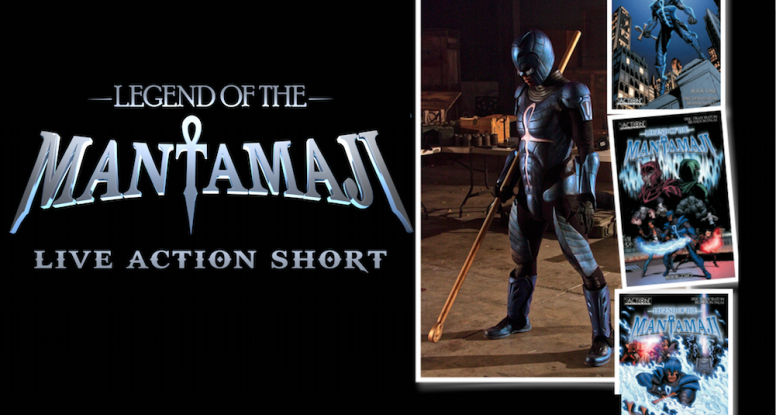 In one day the Legend of the Mantamaji: Live Action Short will go live! To say that the entire team is excited is an understatement. Don’t forget to subscribe to our YouTube channel so you know exactly when the short goes live! 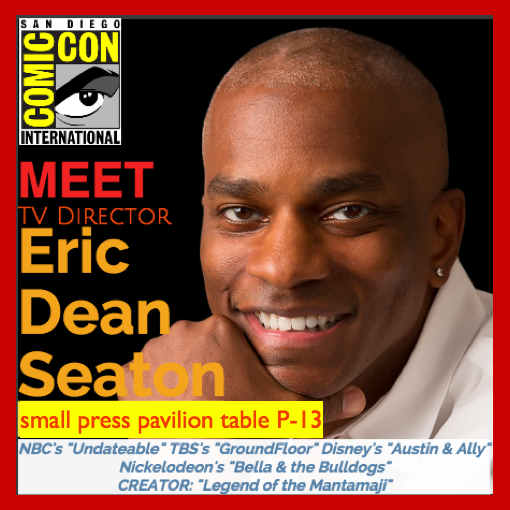 Since his publishing company previewed the Legend of the Mantamaji graphic novel as a San Diego Comic Con (SDCC) exclusive months before their release, Eric Dean Seaton has had quite a whirlwind of a year. From its small, but earnest beginnings, the series has gone on to sell out at convention appearances as part of at 15 city (and growing) international book tour, been named a ‘Top Graphic Novel’ by Examiner.com and Atlanta Black Star, added to MTV’s Beach Reads for Social Justice Warriors list, earned brisk sales (including hitting top spots on Amazon.com), had continuous press coverage and has been picked up by major book distributors like Barnes & Nobles stores, Baker & Taylor, Ingram Books and public library systems. Seaton himself has been recognized with a Glyph Comics Awards Rising Star’ nomination and as a 2014 Samella Lewis Award winner for outstanding professional achievement. 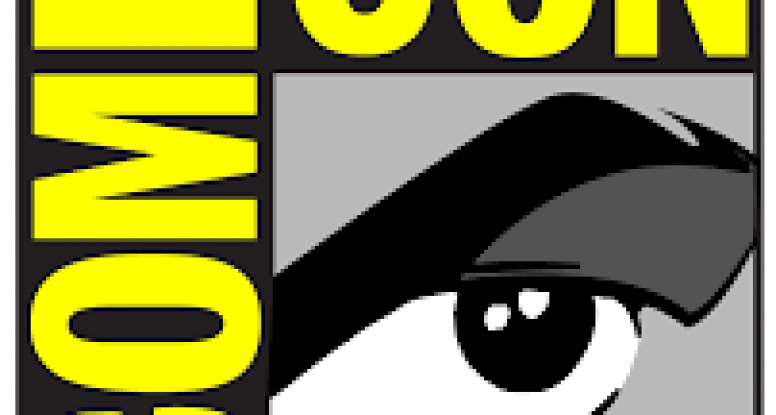 The momentum continues with Seaton’s appearance on “The Black Panel” – a closely followed SDCC panel – on Friday (10:00am – 11:30am Room 5AB) as well as his sneak peek at the upcoming Legend of the Mantamaji: Live Action Short which can be viewed all weekend at Small Press Pavilion Table P-13. 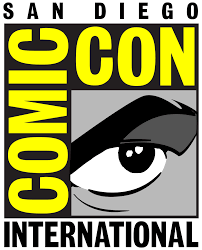 The Legend of the Mantamaji series will be available for purchase at San Diego Comic Con throughout the entire weekend and the books will be autographed by Seaton. Additional special appearances include: Legend of the Mantamaji artist Brandon Palas and Legend of the Mantamaji: Live Action star Philip Michael.